Canadian Non-Profit Organizations and Registered Charities must maintain proper Record Keeping pursuant to the Income Tax Act (Canada) and the organization’s governing legislation. Charities record keeping obligations fall under the following regulations (i) federal not-for-profit corporations under the Canada Not-for-profit Corporations Act (the “CNCA”); (ii) British Columbia societies under the new British Columbia Societies Act (the “Societies Act”); and (iii) non-profit organizations and registered charities under the Income Tax Act (Canada). Income Tax Act (Canada) and the organization’s governing legislation states every non-profit organization and registered charity should: (i) review its record keeping obligations under its governing legislation; and (ii) establish a record keeping system that facilitates timely and accurate record keeping. Under the CNCA, a federal not-for-profit corporation must prepare and maintain a register of members, containing the name and current residential or business address (and email address if the member consented to receiving information by electronic means) of each member, the class or group of membership of each member, together with the date on which each person became a member and ceased to be a member. 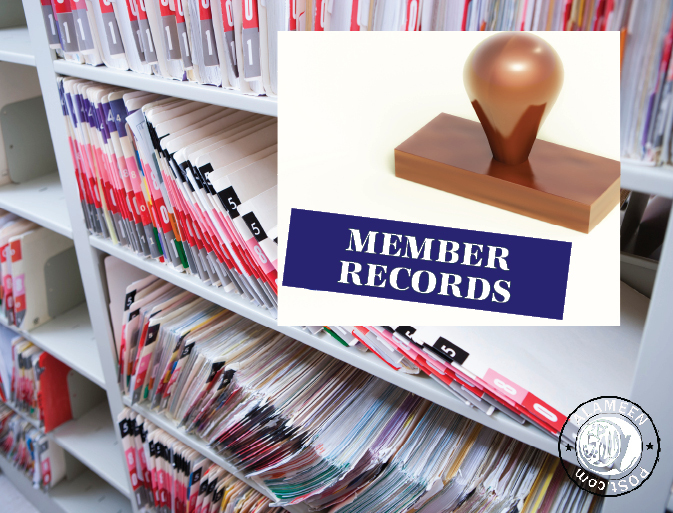 All records must be held for ten years since the record was created or last altered pursuant to the Societies Act BC. Under the CNCA, if a corporation fails to prepare and maintain its accounting and corporate records, or makes a false or misleading statement in a document required to be sent to any person, then it is guilty of an offence and is liable for a fine of up to $5,000. Furthermore, if a corporation commits an offence, then any director or officer who authorized, permitted or acquiesced in the commission of the offence is also guilty and is liable for a fine of up to $5,000 or to imprisonment for a term of up to six months, or both. Similarly, under the Societies Act, a British Columbia society commits an offence if the society refuses, without reasonable excuse, to permit a person to inspect a record of the society (provided the person is authorized to inspect that record under the Societies Act), or to provide a person with a copy of a record (provided the person is authorized to request a copy of the record under the Societies Act), and is liable for a fine of up to $5,000. In addition, a person is liable for a fine of up to $10,000 (for individuals) or up to $25,000 (other than for individuals) if the following occurs: (i) the person makes or assists in making a statement that is included in a record required to be made under the Societies Act; and (ii) the statement is, at the time it was made, false or misleading or it omits a material fact, the omission of which makes the statement false or misleading. CRA can also impose penalties on a non-profit organization or a registered charity if it fails to keep adequate records or fails to provide CRA with access to its records when requested. For instance, CRA may prosecute the organization on a summary conviction basis and apply any penalty for unpaid taxes that are otherwise payable. Further, if the organization is a registered charity, then improper record keeping can result in the charity’s suspension of tax-receipting privileges or loss of its status as a registered charity. By establishing and maintaining a record keeping system that facilitates timely and accurate record keeping, a non-profit organization or registered charity will provide its management team and board of directors with the reliable information needed to make decisions for the ongoing operations and success of the organization.